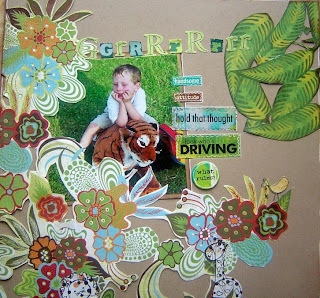 ..... this layout was made using the fantastic stamps from Unity Stamps. 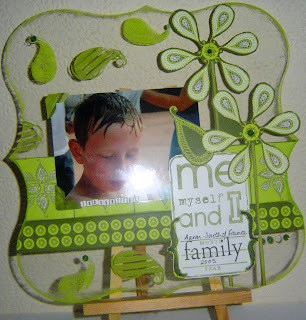 Everything except the Upsy Daisy papers was made using the Me, Myself & I stamp set. You *must* try out this stamp company. Apart from the fact that the mounting system is such a fab concept, the stamp sets (and singles) are amazing .. you wanna see the way they arrive to you. I won't spoil the surprise, but the care and attention is amazing. Nothing is too much trouble for the owner Angela to sort out for you, and you can meet the DT on splitcoaststampers on the Unity thread, and they too are available to help you with anything - a great crew ! 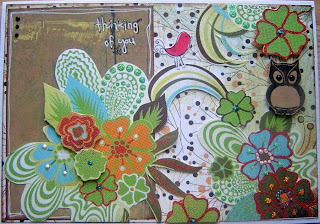 A couple of cards and a layout I made using BG Mellow and Scenic Route Grafton papers from Scrappydo's. 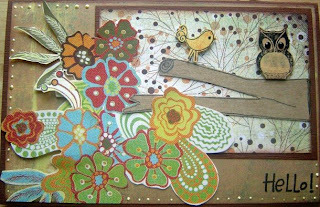 The stamps are from Clever Cut and Autumn Leaves. Well hubby is home from hospital. He's doing really well, although he has good days and bad days. He's slowly able to do a bit more every day, and the stitches are coming out tomorrow and then he starts physio ! Phew ! Its a busy time for us, and I'm worn out fetching carrying and doing all the driving - but it will be worth it in the end ! Its nearly the end of the football season - not sure if I'm happy or not. However, I am happy that my boy won man of the match today (YAY) and will be the Captain for their last match next Sunday. Bless ! Oh well .... on with the cricket season now !! !